I didn’t post for an entire week! 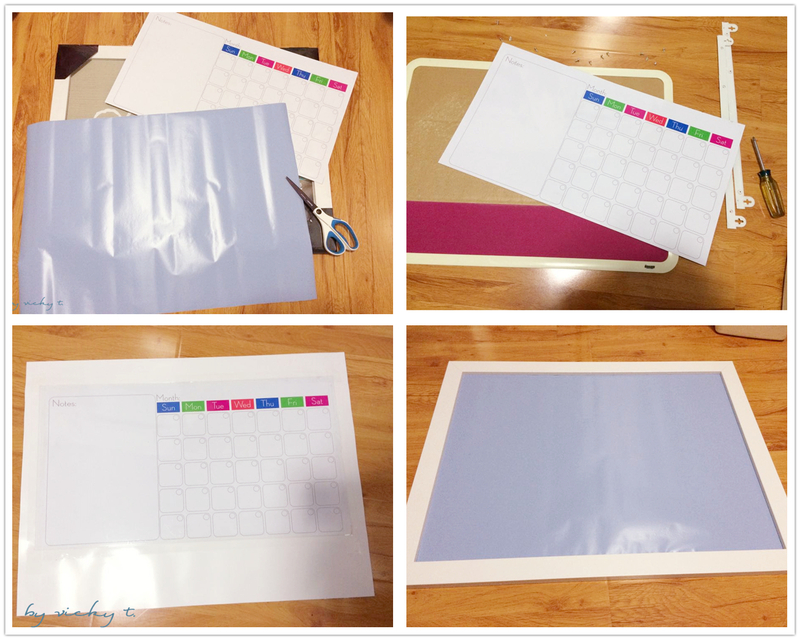 But I’ve been working on my little DIY magnetic board. 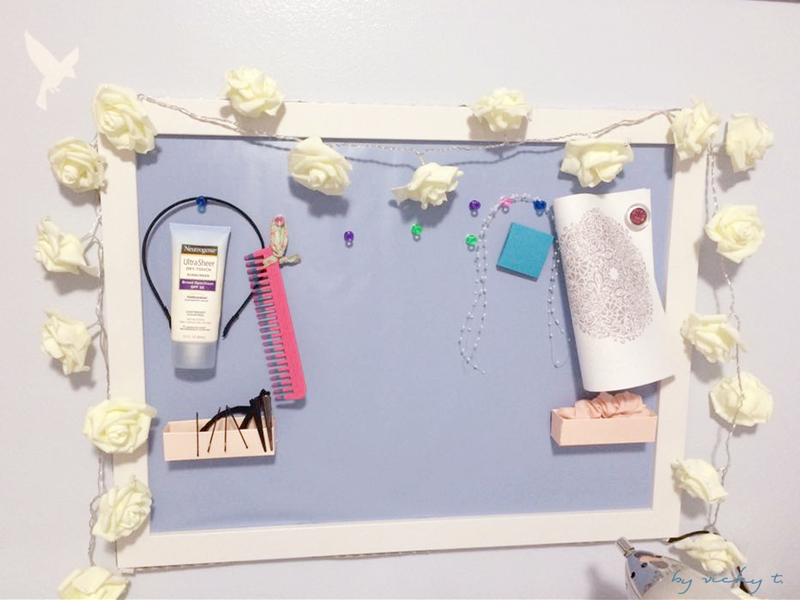 I was so inspired by all the idea boards and makeup boards I saw on other sites. 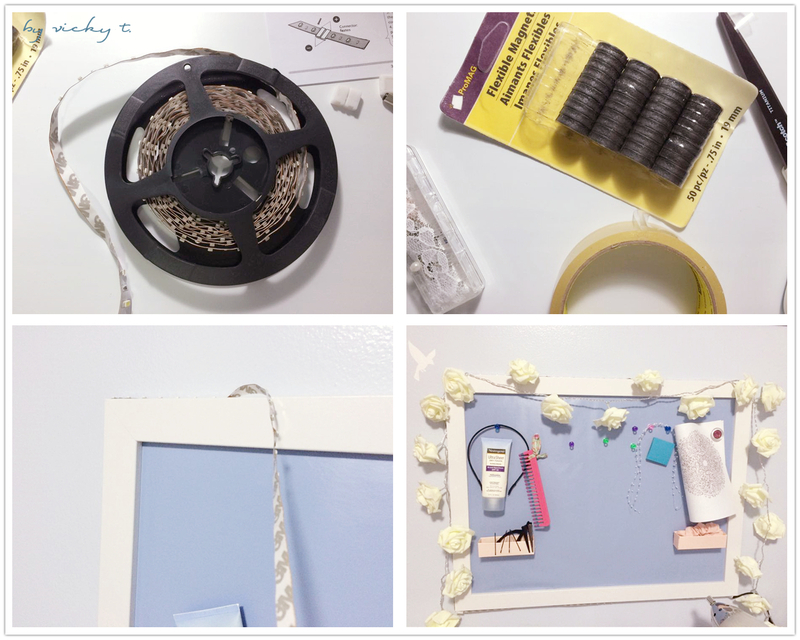 I found a on sale frame at Michaels and decided to just give it a try. 1. I started by gathering all my materials then began extracting the sheet metal from an old board. I taped the sheet metal to a piece of paper that came with the frame. Then I proceeded to tape a similar sized blue paper to the white. Sandwiched the 3 sheets into the white frame and secured. 2. Then I taped the LED strips to the sides of the frames. 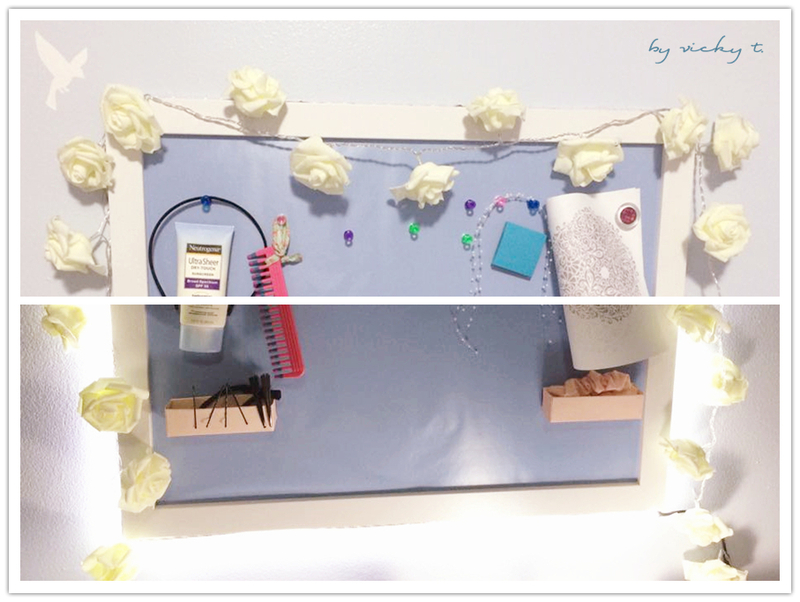 Secured the frame to the wall and started decorating my board with lighted rose garlands. Now, I’m ready to start taping magnets to items that I wanted on my frame. 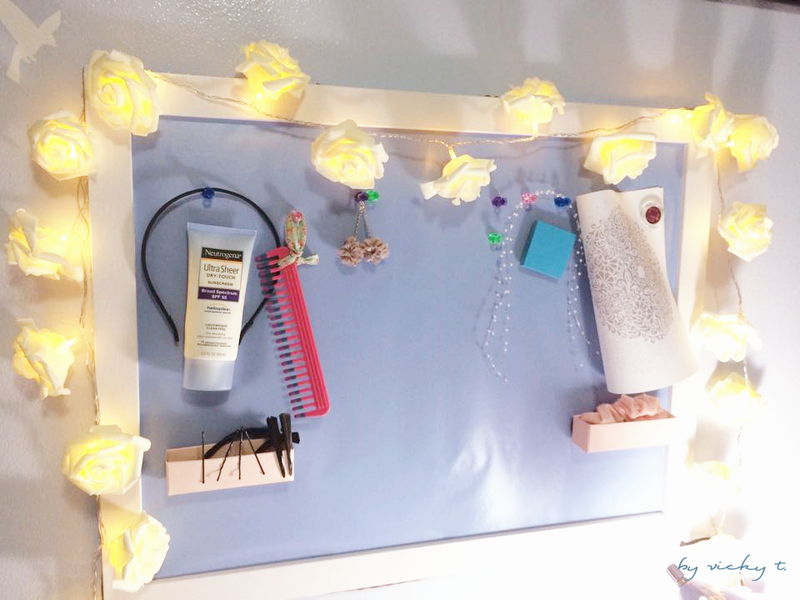 I initially wanted to place all my makeup on the board but had only started placing hair ties in little boxes (made from cosmetic packaging) and everyday items that I used onto the board. My DIY ideas and post its are secured onto the board as well. 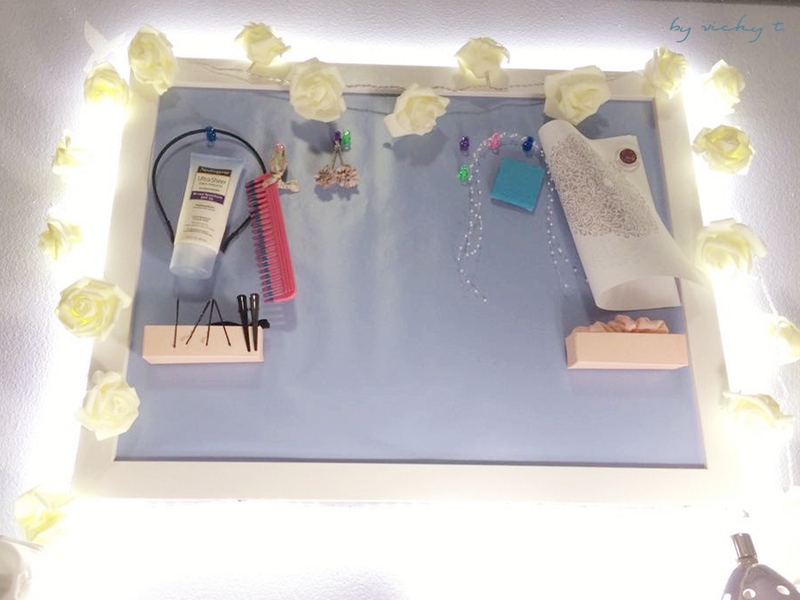 I gave this board 2 lighting options, one was the lighted rose for a romantic feel and the other is LED strips to light up my desk from where I had placed the board. Though still pending some makeup to be organized onto the board, my board itself is officially done!